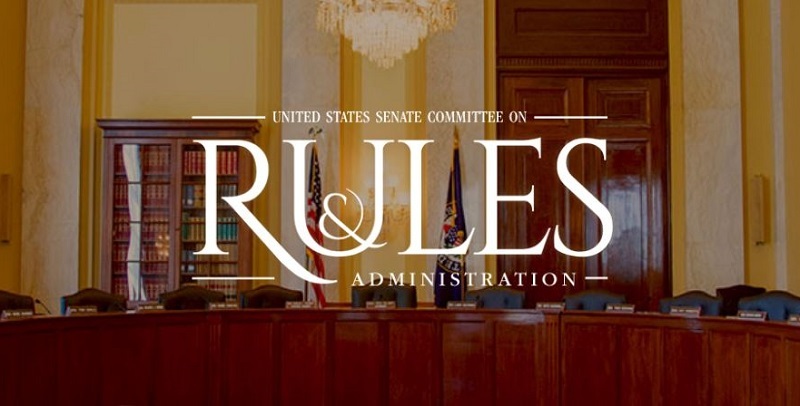 At 2:30pm today, the Senate Committee on Rules and Administration will hold a hearing focused on Ben Hovland and Don Palmer, the two new nominees for the U.S. Election Assistance Commission. Donald L. Palmer of Florida, to be a Member of the Election Assistance Commission, for the remainder of a four year term expiring December 12, 2021. Mr. Palmer currently serves as a fellow with the Bipartisan Policy Center’s (BPC) Democracy Project and as senior advisor with the Election Assistance Commission (EAC). Previously, he served as chief election official of the Commonwealth of Virginia and the director of elections with the Florida Department of State. Prior to his work in election administration, he served as a trial attorney with the Voting Section, Civil Rights Division, of the Department of Justice. Mr. Palmer also served as a U.S. Navy intelligence officer and Judge Advocate General. He earned his J.D from Stetson University College of Law. Needless to say, if the two are confirmed by the full Senate – which, if tradition holds, will happen by unanimous consent as the Senate adjourns next month – it will restore the EAC to full membership and give it a quorum on a full range of administrative and policy questions just as the 2020 election cycle begins in earnest. While some of those decisions could result in deadlocked votes due to the 2-2 partisan split on the Commission, it’s still a huge leap forward for an agency that hasn’t been at full strength for years. If you are in Washington, DC, the hearing is in Room 301 of the Senate Russell Office Building; if not, you can follow the proceedings online at the hearing page. Best of luck to both nominees … and stay tuned! Be the first to comment on "Senate Rules Hearing TODAY with EAC Nominees Hovland, Palmer"